Olives are an expensive addition to your drinks party when catering for lots of people. 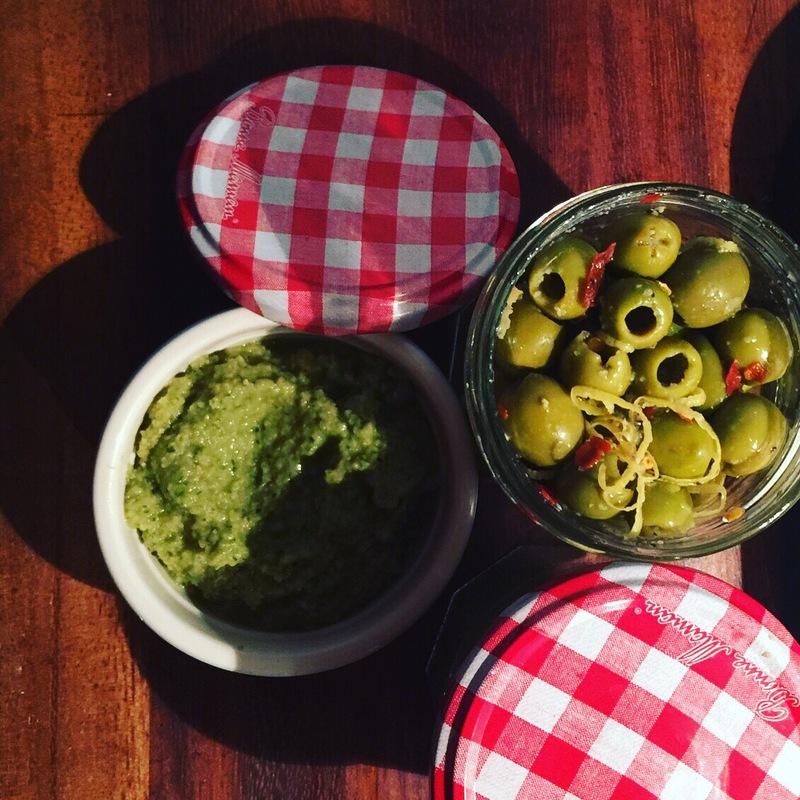 This recipe is so simple and delicious and no-one would know that you haven’t picked up your olives from the deli …. . 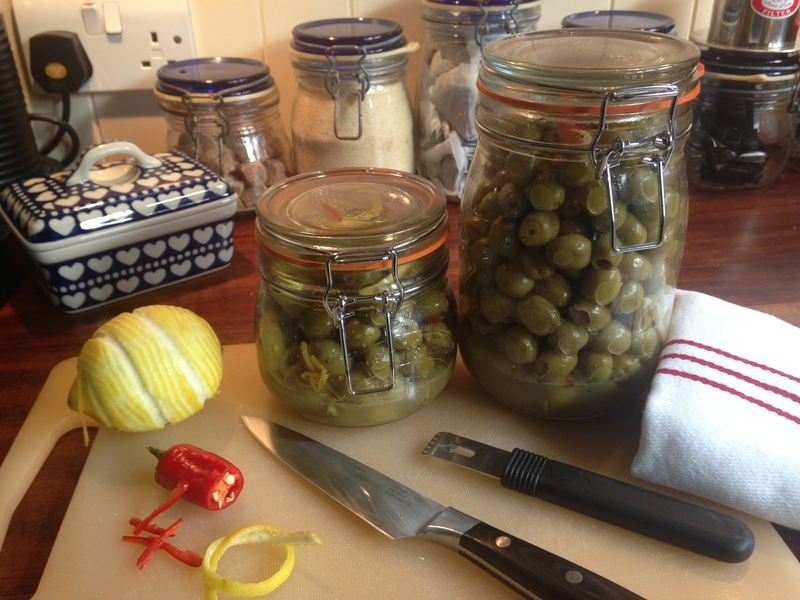 I buy the large jars (907g) of Crespo Pitted Green Olives in brine … dull, but good quality Manzanilla olives nevertheless. If you are serving at a drinks party it also helps that people aren’t left clutching stones! Drain the brine, place the olives in a large mixing bowl and add a crushed garlic clove, either some finely sliced fresh red chilli or a sprinkle of red chilli flakes. Zest and juice a lemon, a good shake of Garlic Black Pepper and a slug of good quality olive oil should all be added to the bowl. 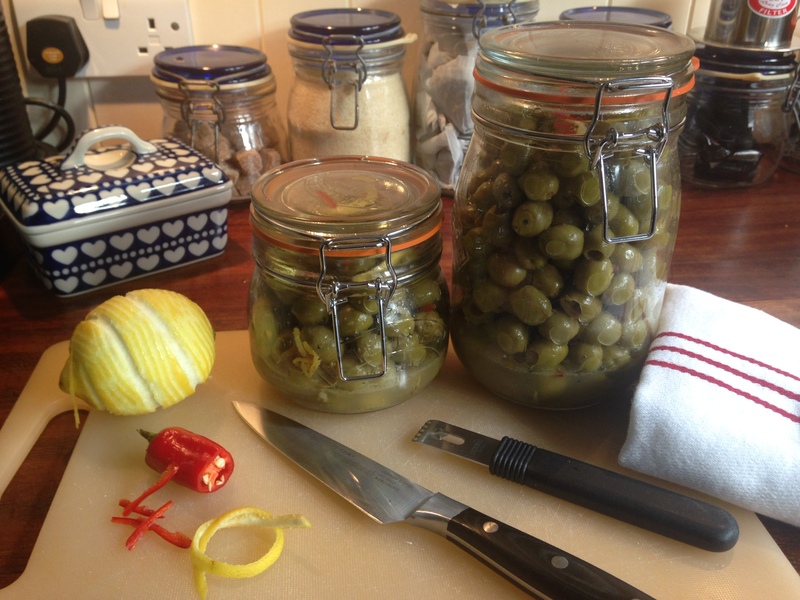 Coat the olives in the garlic/pepper/lemon chilli mixture and then return to a Kilner jar – the key ingredient that makes a real difference to flavour is the lemon zest, this really infuses the olives with an intense citrus flavour – combined with garlic and chilli – they are also a nice gift to take when visiting friends over the holiday period. Food gifts are always well received over Christmas and thee can be stored for up to a week in the fridge. If you want to add a little variety add in some Queen Olives, Kalamata and tiny Picholine olives to add colour and texture.